I had written a post on plate tectonics and continental drift for Mrs. Yollis and her class. Two students, Heather and Keira, challenged me to explain how the Earth began. This post is an attempt to provide an explanation according to my understanding of the science. To see the comment and challenge, click the link and scroll down to the comments. There are so many stories of how the Earth began if we look though the amazing cultures in our world. It would be remiss of me not to mention one or two. Because of my home and yours, I have chosen stories from the native people of Australia and North America. Many people think there was one Aboriginal (native Australian) culture and one language but, before the coming of European colonists, there were many, many of those cultures now lost. One of the best sites I have seen comes from the Yolngu people of Ramingining in the northern part of Central Arnhem Land in Australia's Northern Territory. I found the following You Tube clip telling the story of creation of the Earth through the traditional beliefs of three Native American tribes, the Iroquois, Seminole and Cherokee. Let's start with some word learning. You have had many ideas in your life but have you ever heard someone say they have a theory? Many people confuse "idea" and "theory". A scientist has an idea after looking at the information available through study or research and proposes an explanation for what has occurred. Other scientists look at the conclusions and test the idea against other data or new information. This may lead others to agree with the idea. With other scientists agreeing and available evidence supporting, the idea becomes a theory. Science is a path to discovery. We learn more and more about how things work. Did you know up until a few hundred years back people thought the Earth was the centre of the universe and all of the stars, planets and our Sun orbited around us? This idea is called Geocentric. 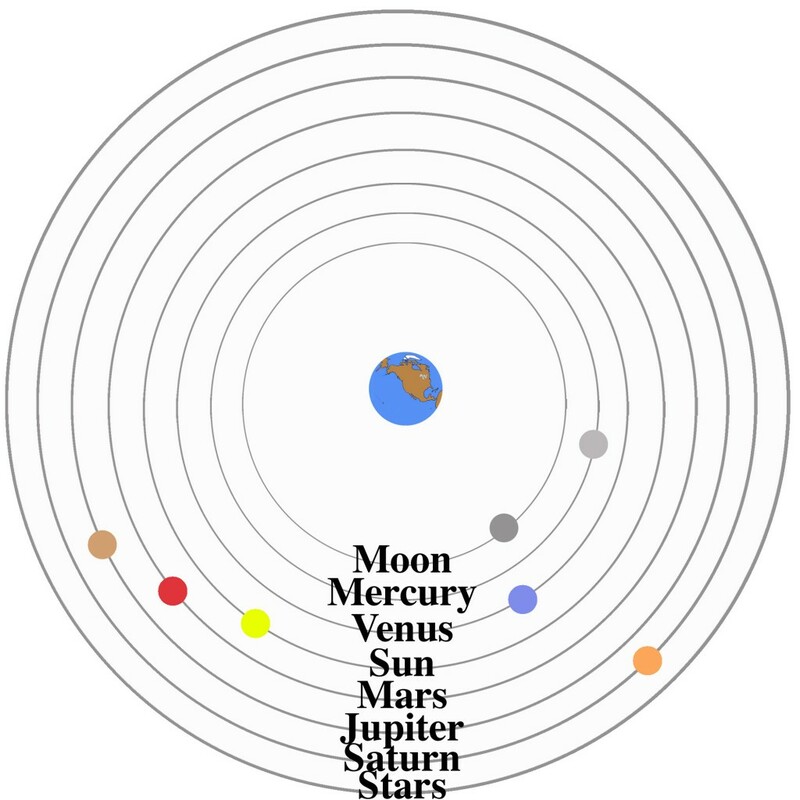 A second geocentric model has Earth at the centre of the universe. The other planets orbit the sun and the sun and all the planets orbit the Earth. It wasn't until about the 1500s more and more evidence was being gathered to show Earth isn't at the centre of the universe. It is a planet orbiting our Sun and now we know our Solar System is towards the outer edge of a double spiral galaxy we call, The Milky Way. We also know our galaxy is one of very many, probably billions, in our universe. We know this because of what scientists have been able to observe and because of the theories arising. Watch the below video to see an explanation of what is thought to have happened to form our planet and others in our Solar System. Remember, you can click on the small box symbol on the bottom right of the video to watch full screen. * About 9 billion (9,000,000,000) years after the universe was born a massive start went Supernova - A supernova is an explosion of a star. It might have been caused by the collapse of the massive star's core. Radiation, energy and stellar dust explodes out from the collapsed star. Back in 1987, we were able to look into the sky and see a supernova astronomers named SN 1987A. Where once nothing could be seen, a star bright enough to be seen without a telescope had appeared. It is said to be 167,885 light years distance. This means the light took 167,885 years to reach us. The supernova happened a very long time ago. * Gravity began its work on regions of the massive dust "cloud" sent out. The "cloud" particles started to gather. Pressure and heat increased. Our Sun was being formed. 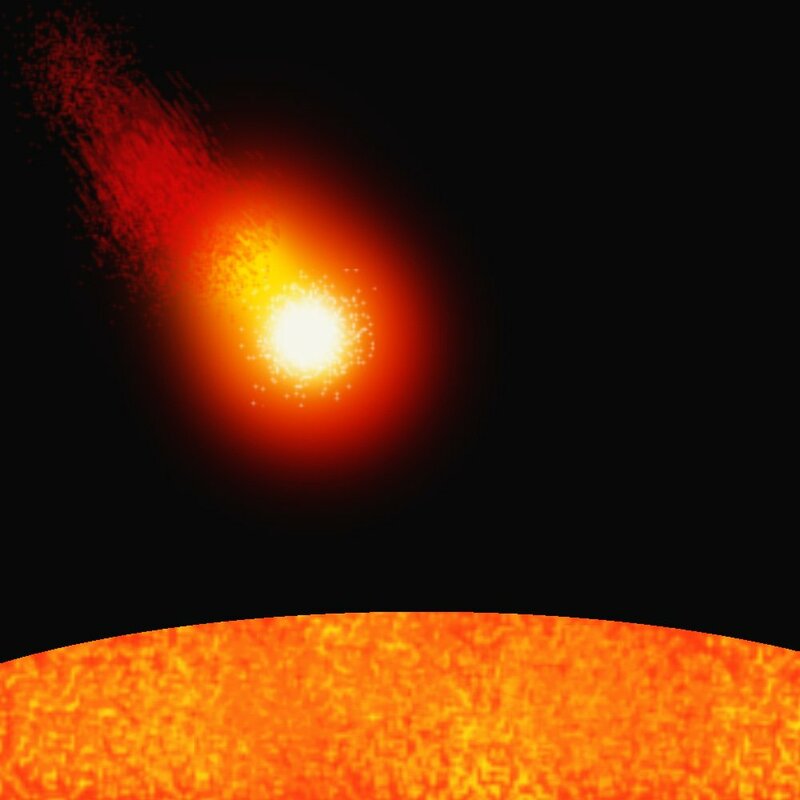 * The temperature increased to about 10 million (10,000,000) C or about 18,000,032 F. About 4.5 billion (4,500,000,000) years ago our sun lit up. * The left over material was caught in the pool of the Sun's spinning motion. The left over material was spinning (orbiting) around the sun. The spin and gravity of the sun was drawing the material into rings (like Saturn's gravity has drawn material into rings around it). The way the material was orbiting the sun stopped it from being pulled into the Sun. I know this can be hard to understand so look at the next graphic I have prepared. Imagine you are the Sun. You have a long, strong elastic attached to a tennis ball and you are spinning it around your head. The ball is orbiting you. The elastic is your gravity trying to pull the tennis ball to you. The tennis ball is one of the planets. If the movement of the ball slows, the elastic draws it closer. 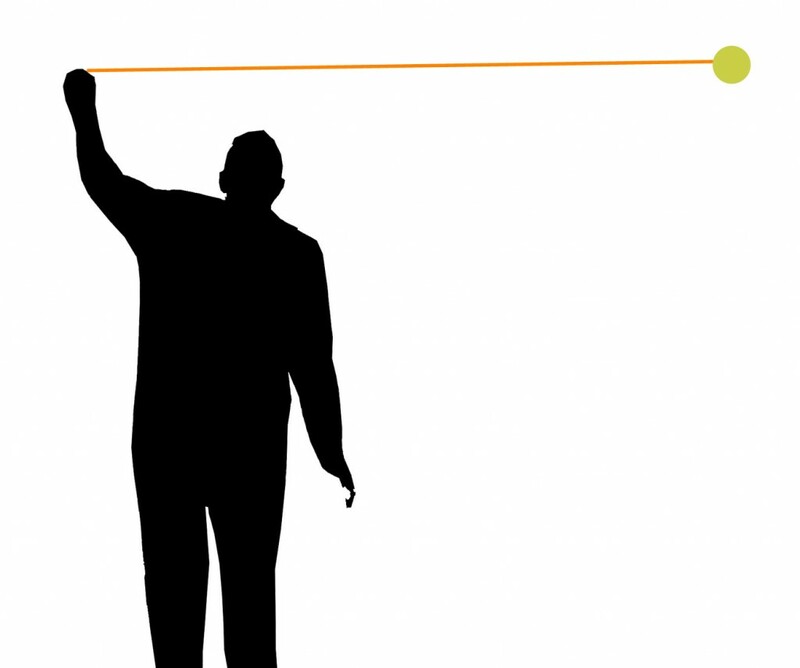 If the ball moves faster, the elastic stretches further. Yes, in case you wonder, if the tennis ball was instead a basketball, the amount of stretch would be bigger. Jupiter is said to be 317 more massive than the Earth. Imagine trying to spin 317 tennis balls on the end of the elastic. You wouldn't need to spin the balls as fast to keep the elastic as stretched as one tennis ball. Our Earth takes one year to orbit the Sun (that's what a year is, the time it takes our Earth to go once around the Sun). Jupiter takes about 12 years. If you could spin the tennis balls fast enough, the elastic would break and "Jupiter" would sail off into space. * The debris in the rings around our sun started to collide and come together to form larger masses. Their journey to becoming planets had started. Have you heard of the asteroid belt between Mars and Jupiter? This ring of debris wasn't able to form a planet because it was being pulled from two sides, the Sun and Jupiter, the largest of our system's planets. Our ring was able to produce a planet which is fortunate for us or I wouldn't be writing this. * From 4.8 to 3.5 billion years ago (4,500,000,000 to 3,500,000,000 years ago), the Earth was being bombarded from space. Combined with this bombardment, radioactive elements and pressure, Earth became a molten furnace. 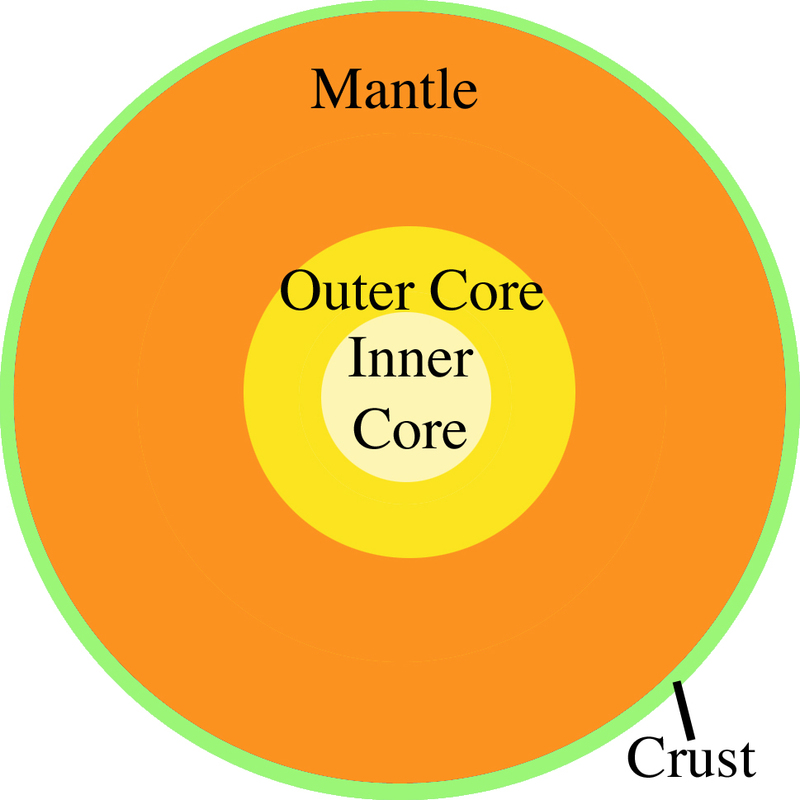 Heavier minerals like iron and nickel sank into the core and lighter minerals rose to the surface. You have probably seen how certain things float while others sink. If you drop stones or pieces of metal into a container of water, they sink to the bottom because they are heavier. Put in olive oil and it will float to the top. * Around this time a large object about the size of Mars collided with our early Earth. Part of the collided matter broke off to eventually become our moon. The Moon at first was much closer to our planet. Remember the elastic experiment? Earth's "elastic" isn't quite strong enough so it is gradually "stretching" but the Moon isn't expected to break away, just reach a distance where there is a balance but this is billions of years into the future so we needn't worry. * Because of all of the heat and volcanic activity throwing out gases, Earth's atmosphere was mostly nitrogen, water vapour and carbon dioxide. We couldn't have survived the heat let alone the poisonous atmosphere. * As the bombardment of debris from the creation of the Solar System reduced, Earth's surface started to cool. Water vapour cooled and the first ancient ocean formed. The cooling crust of the Earth formed the first land, Pangaea. Remember the layers of the Earth? In the final video clip at the end f this post you will hear it said, if the Earth were a basketball, the crust would be thinner than a piece of paper on its surface yet that's where we live. * The Earth had an atmosphere and water, conditions needed for the first life but that is another story. Are there any other systems with planets or are our Solar System planets the only ones? Is there life on other planets in our universe? 1,000,000,000,000,000 stars with planets out there. That is one quadrillion stars with planets. That is one billion planets with life. But there are probably many more than a billion galaxies in our universe and I suspect life is much more common than the above but reaching planets outside our Solar System to find life doesn't seem likely because of the vast distances between the stars and far greater between galaxies. As you know, NASA has the Curiosity rover on Mars. Latest news shows it has found rocks on Mars have some of the chemicals necessary for life - sulfur, nitrogen, hydrogen, oxygen, phosphorus and carbon. If we find evidence of life on Mars or that it once existed, we have proof we are not alone but don't expect Martian people. If life is found it will most likely only be something like bacteria. This one talks of the possibility of a number of land masses forming over time and gives them names. This is quite possible but I am happy enough with just Pangaea unless I find further evidence. The clip does show you how our Earth is protected from harmful radiation from our sun by it's magnetic field caused by our rotating liquid iron outer core. Mars's interior cooled a very long time ago. Solar radiation shed much of Mars's atmosphere but Earth has been protected. Our volcanoes, tectonic plates and earthquakes show us our world is still very active and I am thankful it is. When checking through You Tube, I found this clip showing an animation of the Big Bang, and the beginning of our system, the Sun, Earth and Moon. This clip has nothing to read just images to watch as billions of years pass. You know our Sun is much larger than the Earth. It's said it would take about a million Earths to make the size of the Sun but is our Sun a very big star? I found this video clip to show our Sun is so much smaller than the largest known star. This video clip shows just how tiny our Sun is compared to some other suns (stars). Posted in Cultures, Geography, Geology, History, Our World, Its Nations and Continents, Rocks and Minerals, Volcanoes & Earthquakes and tagged Earth, Moon, Space, tectonics on March 15, 2013 by rossmannell. Wow! What a long post. I could not finish it all but I finished most of it. I have always wondered how the Earth began and who were the first people on it. Now I do not have to wonder! It was really amazing how all of the Earth came together. My favorite parts were the Native American video and the perfect planet video. It really showed How The Earth Began. 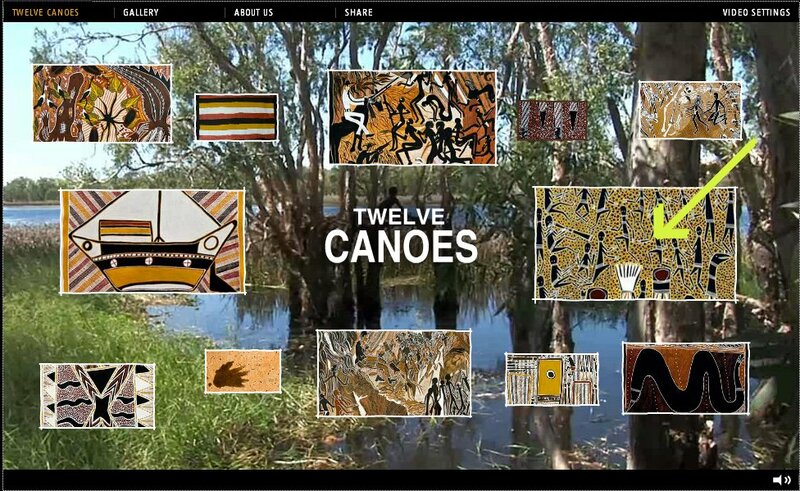 Twelve Canoes also was very interesting. A lot of time has passed until the sun had formed. The picture that you showed us of the students was a big help. It showed a little how big the sun would be. It was divine how the people back then thought that the Earth was in the center of the universe. Why did they think that? I am glad the post helped you understand more about our planet. Back in the geocentric (Earth is the middle of the universe) days they assumed all existence had been given to us so we must be at the centre of it all. Early astronomers noticed the other planets didn’t move the way they should if we were at the centre of the universe. In 1543, an astronomer named Copernicus suggested the sun was at the centre and the planets, including Earth, orbited it. There would still be people today who believe in geocentrism, that the Earth is at the centre of the Universe but science has shown this not to be true. Geocentrism has its base in the beliefs of Ancient Greece. Without a better model, geocentrism held sway for many centuries. That post was certainly divine! We can’t believe how much you know! 🙂 Where do you get all those facts? Since you are so knowledgeable, do you know what geocentrism is? You should know it because you used it in your comment. We liked that you gave a diagram for the Earth. Wow! Look how thin the crust is compared the mantle! 😀 Like you said, if the Earth was a basketball, the crust would be thinner than a piece of paper. Don’t we live on the crust? Thank you for sending us a hyperlink to your new post! We were looking through all of the posts, and saw a new hyperlink on all of the comments that you left us! There were so many grand posts, that we almost couldn’t decide which one to leave a comment on. We finally encountered this post and remembered when you first put it up. We are very thankful that we met you. You are like a private teacher to us! How do you know so much about the world? What an interesting comment. I will work on a reply soon but have been a little busy over the week. I am working on a DVD and 2 CDs for a local choir at this time and spent a few days in Sydney last weekend while seeing our Australian XFactor Grand Final and Decider. Highlight of the show was the appearance of Katy Perry to sing “Roar” and “Unconditionally”. It was great to be able to sit back and watch a show without being behind a camera. When I searched up Keira and Heather in the search box, I was looking through the posts you have written for us and stumbled upon this post. I started to read into it and, when I watched the last video, I had many questions to ask you. First of all, I am wondering why early scientists thought that the sun and every other planted orbited around us. If they had had technology back then, would they still have thought that everything orbited around us? Another question I have is about how many other galaxies are out there? By the way, thank you for telling me we live in the Milky Way because I never knew that. One more question I have is how did those giant stars form in the last video? Also, how did humans know that there are bigger stars than the sun? Finally, do you think that there are larger stars than the last one in the final video in the post? It will soon be this blog’s second birthday and sometime by the middle of the year I will probably write my 200th post on this blog. It’s because of so many interesting class blogs and people like you leaving comments this blog has been able to grow.